You know I like a good, easy dinner recipe because it means we can get everyone fed while fitting in some time with the entire family. Our days are busy and I can only imagine they will get busier as the kids get older. 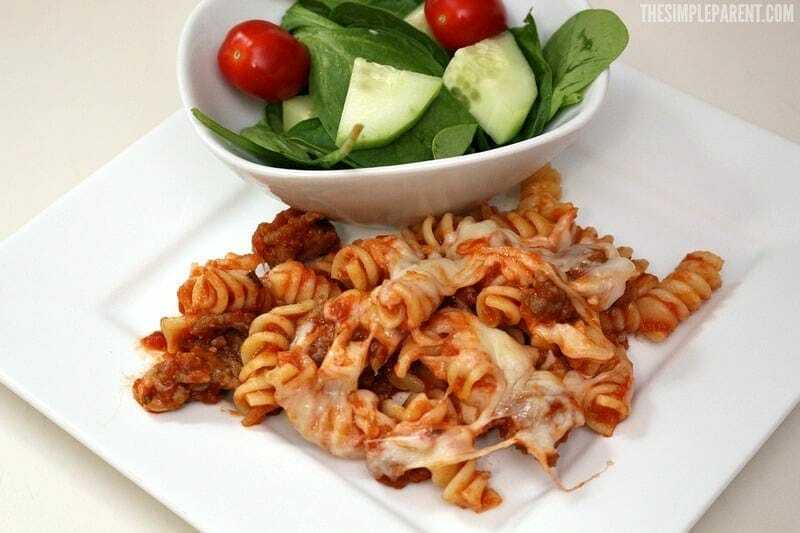 Anything with pasta is great for our family which is why our easy Sausage Pasta Bake was a huge hit! With help from Johnsonville Mild Italian Sausage, I was able to add a twist to our usual pasta bake. Yes, I make a lot of pasta. 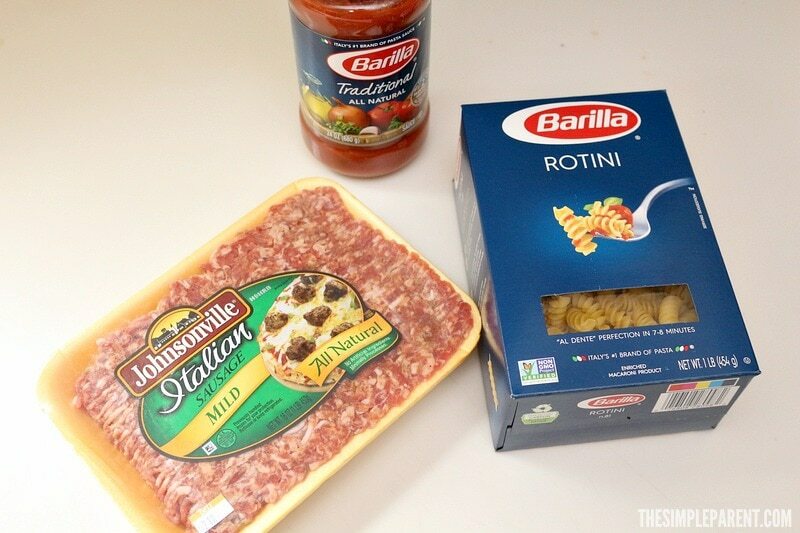 Barilla Blue Box Pasta is a staple in our pantry for sure! What’s even better about this recipe is that you can make it for less than $10! Barilla Blue Box is Italy’s #1 brand of pasta and brings Al Dente perfection to every pasta meal! That makes dinner quick, easy, and extremely versatile. 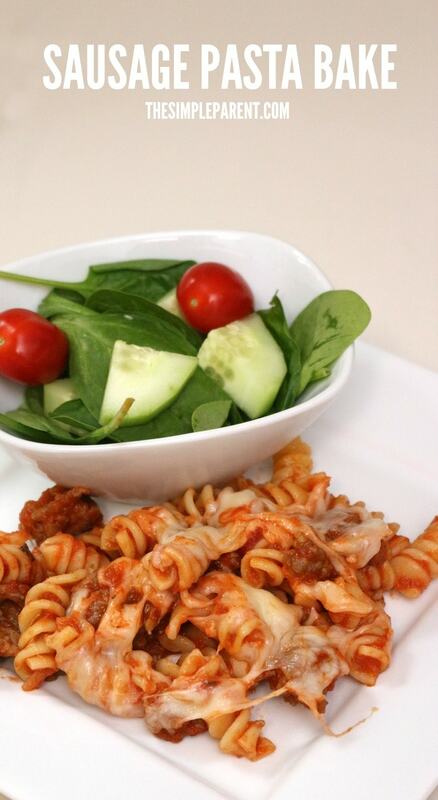 Paired with Johnson Mild Italian Sausage, we get a convenient and flavorful meal! All of the spices and flavors are already in Johnsonville Sausages and they make a great swap for our usual ground beef! All we had to do was add a jar of Barilla Pasta Sauce and some shredded mozzarella cheese for this delicious family-friendly meal! We were able to get everything we needed on our recent grocery shopping trip to our local Kroger, which made it super convenient! Heat oven to 400 degrees. Spray the bottom of a 9×13 baking dish with non-stick cooking spray. Prepare Barilla Blue Box Pasta according to directions on the package. Drain and set aside. Brown and drain your Johnsonville Mild Italian Sausage. 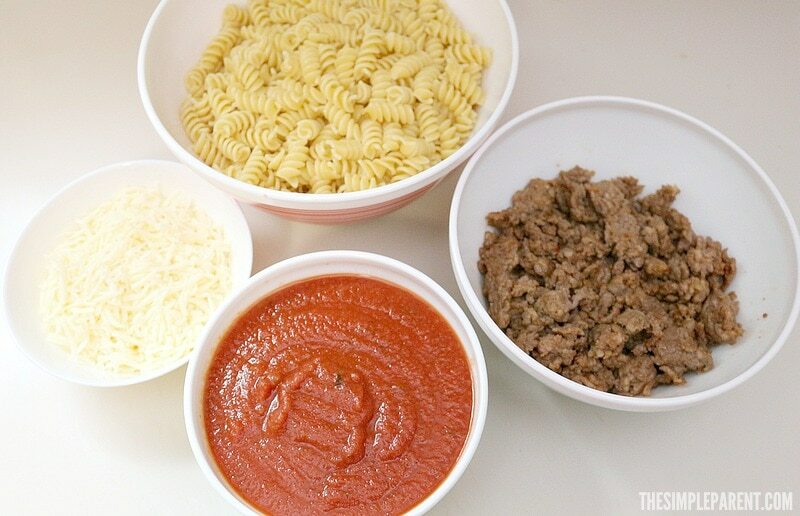 In a large bowl, mix the pasta, sausage, and sauce. Set aside 1/2 cup cheese. Mix the remaining cheese into the pasta. Spread pasta mixture in the baking dish. Top with remaining cheese. You can serve with steamed veggies or a simple salad for a delicious and filling meal that costs less than $10 for the entire family! This one was family approved and Justin was more than willing to take the leftovers with him to work the next day! I have a feeling we’ll be picking up Johnsonville Mild Italian Sausage and Barilla Blue Box Pasta on our next trip to Kroger! You can pick up everything you need at your local Kroger (or Kroger banner) store too!